So I finished reading Neuromancer about a week ago. Wow, it's really good. As I mentioned recently, it's major theme is pushing the relationship between people and technology to uncomfortably intimate. The Ghost in the Shell-like climax of this theme occurs around the climax of the novel's plot-action. 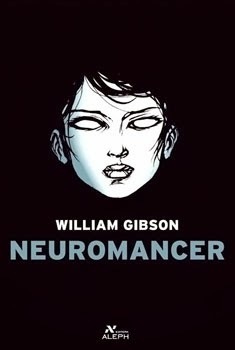 Neuromancer is written as a sequel to Gibson's Johnny Mnemonic and Burning Chrome stories, and like those stories it is written in the style of a Hardboiled crime story. This gritty style allows Gibson to create a more realistic Sci-Fi(one of his stated goals) in much the same way that it helped Chandler to invent a more realistic Detective Fiction, based more on wheeling and dealing than on intellectual mind exercises. Gibson also uses the hardboiled style to further his theme of discomforting human/technological syntheses. For example, his use of Chandlerisms. While Chandler uses these to set to mood through the eyes of the narrator, a man of honor living in a rough world that is wearing away at him, Gibson additionally uses these metaphors to give a view of the world through a technological lens. For example, the book's much-quoted opening line "The sky above the port was the color of television, tuned to a dead channel". Now let's compare Neuromancer with another contemporary Harboiled imitator: Michael Chabon's "The Yiddish Policeman's Union". If you're ever read Chabon's "A Model World and Other Stories", you know that the man can write one hellova short story. Really, it's a brilliant, brilliant collection--really enjoyable and highly recommended. And Yiddish Policeman's Union is full of that same brilliance: there are so many great little bits. But, as a novel, it just felt seriously flawed to me, and the biggest reason, to my mind, is focus. 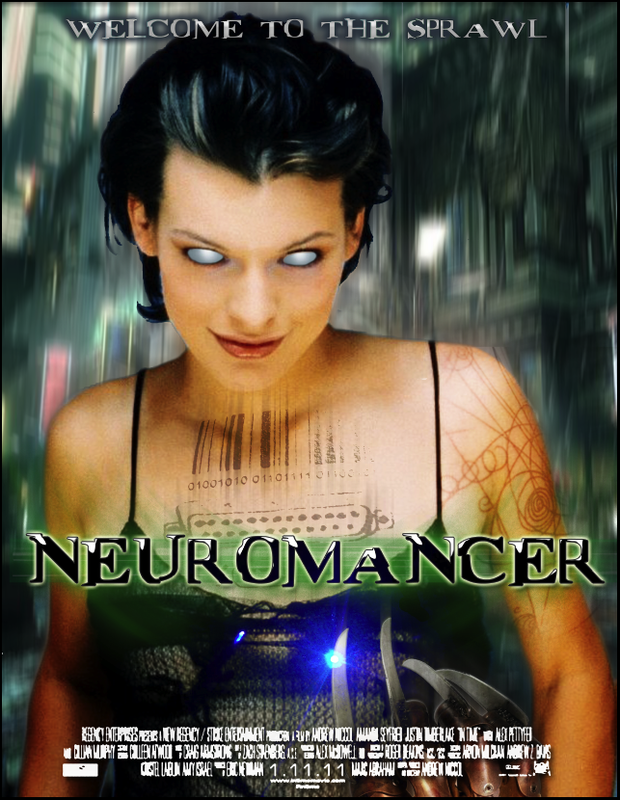 Neuromancer has a lot going on. But overall it is a very focused novel. It's got one overarching theme, leaving it free to focus on creating a fast paced roller coaster ride of a high-octane, hi-tech crime story. Yiddish Policeman's Union, on the other hand, is all over the place. Chabon has so much to say about people, relationships, Judaism, politics, and a lot of it quite profound. And yet, I felt like it was too much, just jumping all over the place. And he's so into symbolism that I remember finding his use of Chandlerisms occasionally distracting from the actual story. As for the plot itself, it moved along quite slowly through most of the novel and when it finally got moving the emphasis became more of this political message Chabon was trying to drive home, rather than on the mystery or the characters. So, overall, lots to love in this novel, but sometimes less is actually more and I can't help feeling that it didn't live up to it's potential. Maybe if Chabon he'd found one central theme to stick to like Gibson in Neuromancer, then we would have gotten a better detective story. Or perhaps, it could have been written as a series of short-stories taking place in the same location.